In 2005, Bowen Island Municipality purchased about 40 acres of land from Metro Vancouver. 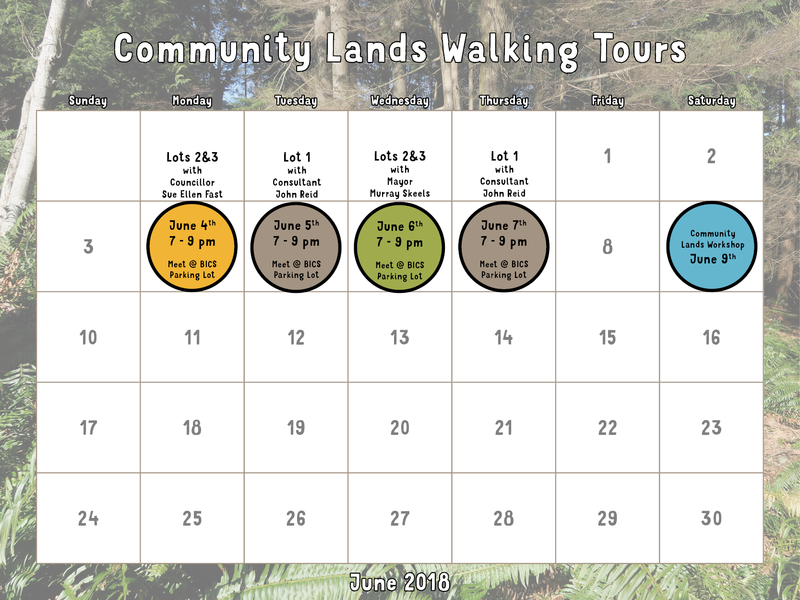 At the time, these lands were called the “Surplus Lands,” because they were surplus to regional park needs, but they have become known as the “Community Lands,” because they are essential for Bowen Island. The six parcels or “lots” of the Community Lands are located in or near Snug Cove. Some lots were already developed when we acquired them (Lots 4, 5 and 6), while others have been re-zoned in recent years or are currently in the rezoning process (Lots 1, 2 and 3). Our Community Lands are a major asset that can continue to serve our community’s needs for many years, so we need to plan wisely for their present and future use. On June 9, 2018, a workshop on the Future of Our Community Lands was held at Cates Hill Chapel. 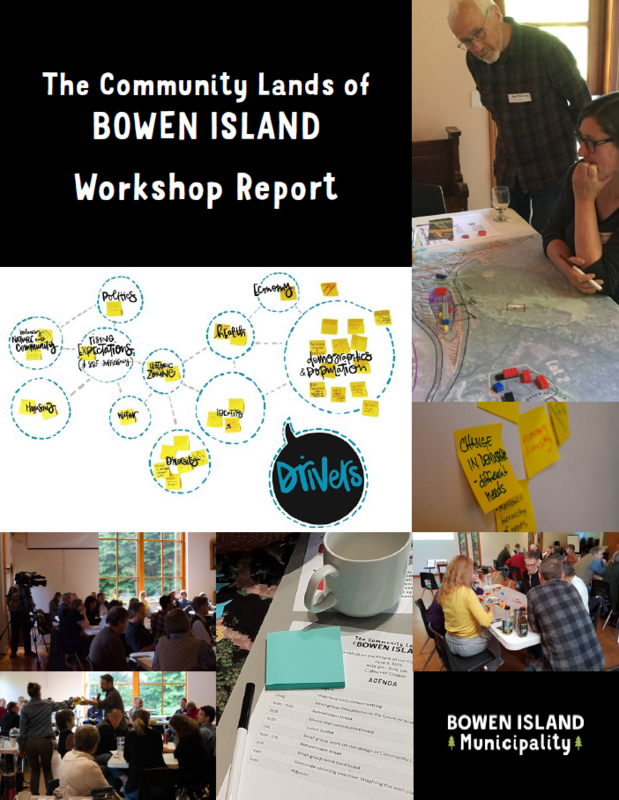 The workshop was designed by a joint sub-committee of the Advisory Planning Commission and the Mayor's Standing Committee on the Community Lands, and included 53 participants from the community with diverse backgrounds and perspectives. Council and staff are working through several overlapping processes to engage the community in creating an overall vision for the Community Lands. We are conducting public information sessions to inform a process for zoning, procuring and operating affordable housing projects. We are working on a land use planning exercise with interested stakeholders to develop ideas for a comprehensive plan for Lot 2. Alongside these initiatives we have introduced zoning amendments to make portions of Lot 1 available for development over the coming years. 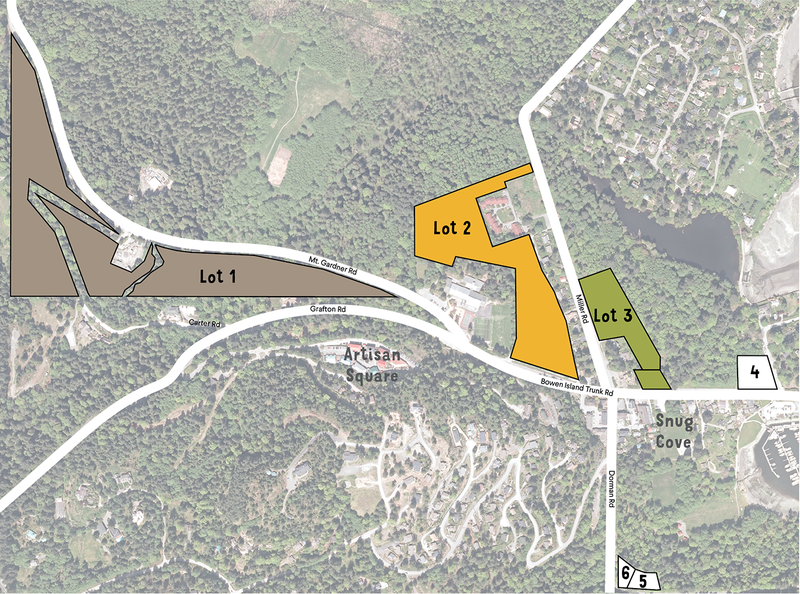 Planning for the Community Lands has been ongoing since Bowen Island Municipality incorporated in 1999. The documents below were compiled in March of 2016 and provide a historical summary of the work completed by various committees and staff to assist Council in making decisions around the use, development and sale of the Community Lands. The documents below are downloadable in PDF format only.